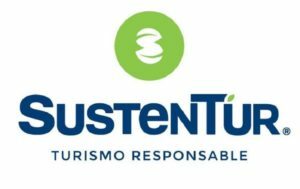 Sustentur sustainable tourism consulting is changing the way how tourism is perceived and developed in Mexico and Latin America. It supports governments, destinations, companies and communities to integrate sustainability and innovation in their core business. Five hashtags which best describe Sustentur? Vicente Ferreyra Acosta is the CEO of Sustentur. He is convinced that sustainability must be the basis for development of tourism in Mexico and Latin America. Vicente has more than 15 years of experience in the development of sustainability projects for governments, companies and rural communities in Mexico and Latin America. Prior to founding Sustentur, he worked for several conservation organizations, including the World Wildlife Fund (WWF), the Mesoamerican Reef Tourism Initiative (MARTI) and Amigos de Sian Ka’an, as well as coordinating multilateral projects funded by institutions such as the World Bank, Inter-American Development Bank and other international and national agencies. Vicente holds a Master’s degree in Politics and Environmental Law from the Universidad Anáhuac Cancún, a Master’s in Environmental Management from the Universidad Politécnica de Madrid and a Bachelor’s degree in Tourism from the Instituto Politécnico Nacional. His training includes several courses of specialization in sustainable tourism given by the Organization of American States (OAS) and the Global Sustainable Tourism Council (GSTC), among others. He is a lecturer and international consultant on sustainability and tourism and has taught courses in countries such as Costa Rica, El Salvador, Nicaragua, Guatemala and Honduras, as well as lecturing at World Tourism Organization events, the Center for Responsible Travel and the Ministry of Tourism of Mexico. He is a member of the International Social Tourism Organization (ITSO) and an ally of Earthcheck in Mexico and Latin America. In addition, he is a fellow of leadership programs such as the Mesoamerican Reef Leaderships Program. 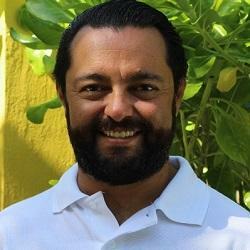 Vicente is a founding member of the Mexican Association of Professionals in Sustainable Tourism. Vicente Ferreyra Acosta is part of our virtual expert panel. Read our interview with Vicente here. We need to stop being shy when communicating our sustainability actions. We need to understand that public, private and social sector goals often overlap, even when the language and messages are different. To offer community-based products is more than just offering a trip. It is about sharing life experiences. To achieve sustainability, we need to involve visitors with our environmental and social goals. Promotion is not longer the solution, we need educate and engage tourists. Destination management is the big challenge now; we need to change our individual vision into a shared vision, with benefits for all the stakeholders in the tourism value chain. The main question for the next years is how do we deal with overtourism. Through our web portal, with news on sustainable tourism. Through the Sustainable and Social Tourism Summit, the most important sustainable tourism event in Mexico. Through our social media profiles on Facebook and Twitter, and Instagram.